When comparing prices on Compressor rentals in San Jose, Hollister and Santa Cruz, ask about sales tax and environmental fees. 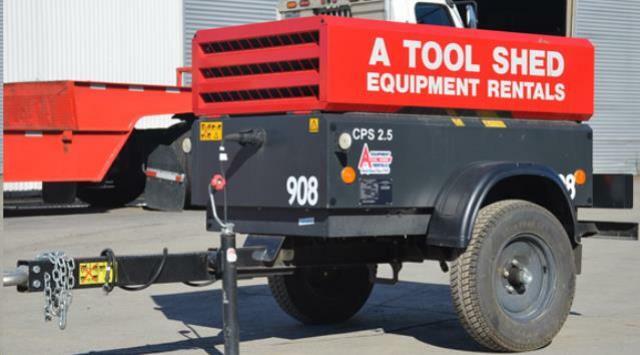 This Compressor will operate jackhammers & other large air driven equipment and pressurize large lines for inspection. Air Discharge 2 Outlets NPT Size .75"
Compressor rental rates are based on 8 hours per day 40 hours per week and 160 hours per 4 week's usage. Over Hours, Double and Triple Shift Rates Will Be More. 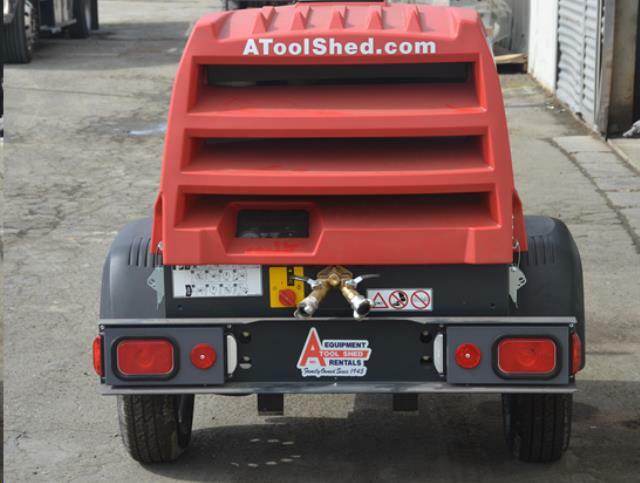 condition and have a rated capacity of 2,000 pounds or more. 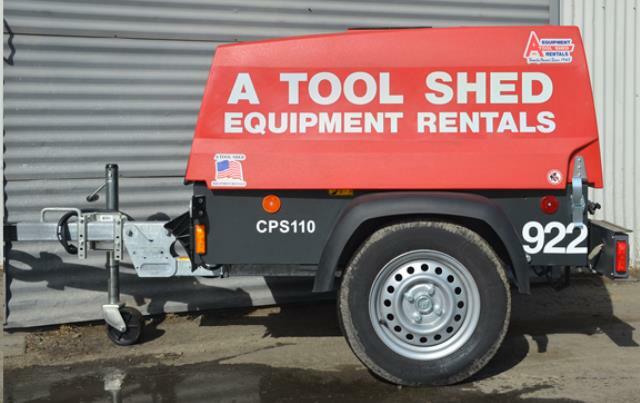 * Please call us for any questions on our 90 cfm towable diesel air compressor rentals in San Jose, Campbell, Salinas, Santa Cruz, Watsonville, Morgan Hill, Hollister, Santa Clara, Gilroy, Milpitas Sunnyvale, Fremont, Salinas, the Greater Bay Area and the Monterey Peninsula.